Evolution of Blockchain: The blockchain is a decentralized distributed ledger that records transactions on the network, shared and maintained by all the stakeholders. The digital records are put together into “blocks” and then bound together cryptographically into a “chain” using complex mathematical algorithms. The evolution of the blockchain started from 2008 to 2011, when gamers and traders used cryptocurrency as tokens for online gambling and gaming purposes. Regulatory authorities realized the benefits of blockchains for auditing and compliance. The focus has now shifted from currency to other application areas, such as payments, smart contracts, exchanges, digital identity, and documentation. Though on a wider commercial scale, developments in the blockchain technology market are at an early stage, the technology has the potential to provide endless opportunities across almost every industry. The automotive industry is a complex connected ecosystem with multiple transactions involved. For instance, OEMs have to effectively coordinate with Tier I and Tier II companies and transportation and logistics companies to ensure timely delivery of parts. Similarly, insurance companies collect data from multiple parties for verification of insurance claims, thus, managing these multiple data sets can be complicated. Additionally, such transactions raise the concern of data leakage and manipulations. According to a National Highway Traffic Safety Administration (NHTSA) study, around 450,000 vehicles are sold each year with falsified odometer readings, resulting in a cost of more than USD 1 billion annually. Additionally, in September 2015, the United States Environmental Protection Agency (EPA) issued a notice of violation of the Clean Air Act to Volkswagen over the emissions scandal. The company has been accused of modifying software on the 3-liter diesel engines fitted to some Porsche and Audi as well as Volkswagen models of about 11 million cars worldwide. So, to maintain transparency, there is a need for an immutable database to record these transactions with shared, secured, and highly permissioned access. A distributed ledger between OEMs, Tier I companies, insurance companies, dealers, service providers, consumers, and others, called as automotive blockchain, is now entering in to the automotive industry with significant number applications such as financing, Internet of Things (IoT), smart contracts, supply chain, insurance, fleet management, safety and security, and mobility. A blockchain is a decentralized ledger technology for data transactions between all the parties in the connected automotive ecosystem. Therefore, it helps to address some of the key challenges and pain points faced by the automotive industry over the past few decades. Implementation of blockchain results in faster transactions. Similarly, the services developed on the blockchain platform are fast and very secure. According to Porsche, “transactions based on blockchain technology are secure and get processed far more quickly than anything that has come before.” Porsche in collaboration with Berlin-based start-up XAIN is currently testing blockchain applications directly in vehicles. The automotive blockchain offers a robust alternative to traditional transaction stacks at a fraction of the cost. This helps reduce the total cost of ownership, complexities, and time. For instance, OEMs often issue vehicle recall notifications to their customers over the defective part in the delivered vehicle which could affect road safety and security. Unfortunately, most of the OEMs are unable to identify each part in each vehicle sold, so they need to issue the recall notification for thousands or millions of vehicles even if the defective parts are installed only in a few vehicles. This process leads to loss of money and also results in inconvenience to the customers. The integrated blockchain system enables OEMs to identify every single part of the vehicle uniquely and keep the record of every part installed. It will save a significant amount of money spend on future recall processes if required. As the OEMs will have a track record for each part of the vehicle, they can easily identify the particular vehicles fitted with defective parts and will be able to issue specific recalls for individual VINs. This could save a lot of money and time for the OEMs. In response to that, many OEMs have initiated pilot projects on automotive blockchain to bring the transparency of information in the business network. For instance, French automaker Renault unveiled a new digitized car maintenance log prototype built using blockchain in July 2017. In 2017, BigChainDB launched the prototype called CarPass, to centralize all information about a car to a shared in an immutable and transparent way to reduce fraud or tampering. In May 2018, BMW, GM, IBM, and Accenture launched MOBI—a blockchain initiative focused on automotive applications. MOBI is a non-profit organization working with forward-thinking companies, governments, and NGOs to make mobile services more efficient, affordable, greener, safer, and less congested by promoting standards and accelerating adoption of the blockchain, distributed ledger, and related technologies. In May 2018, SHIFTMobility revealed the world’s first blockchain-powered platform for the automotive industry. The platform will help connect, understand, and harness the demand from the myriad of vehicles and supply chain apps, commerce channels, enhanced diagnostics, and transportation logistics for now and in the autonomous future. BaaS, cryptocurrency, and ICO will propel the growth of the automotive blockchain market. The market will see the emergence of a new breed of programmable blockchain technology platforms. As venture capital funding in the automotive blockchain market continues to increase, new technology providers are expected to enter the market, offering new service models. 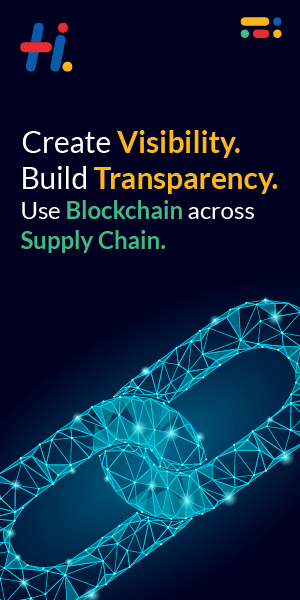 As per MarketsandMarkets analysis, supply chain application is projected to be the highest revenue contributor to the automotive blockchain market, as the automotive blockchain has the ability to streamline supply chain processes significantly, especially regulatory and compliance approval related processes. In developing countries, such as China and India, where the automotive industry still follows the traditional approach for business transactions, blockchain is expected to play an important role. However, the market is still far from reaching its potential due to the lack of low consumer awareness, fickle system reliability, and concerns over data privacy. Amey Amanaji who is associated with MarketsandMarkets for more than 6 years, sharing his skills in the Automotive & Transportation domain and as prior association with Wipro Technologies. He has expertise in emerging technologies and has worked in studies related to future revenue mix, go-to-market strategy, growth pockets, competitive landscape, and industry valuation.